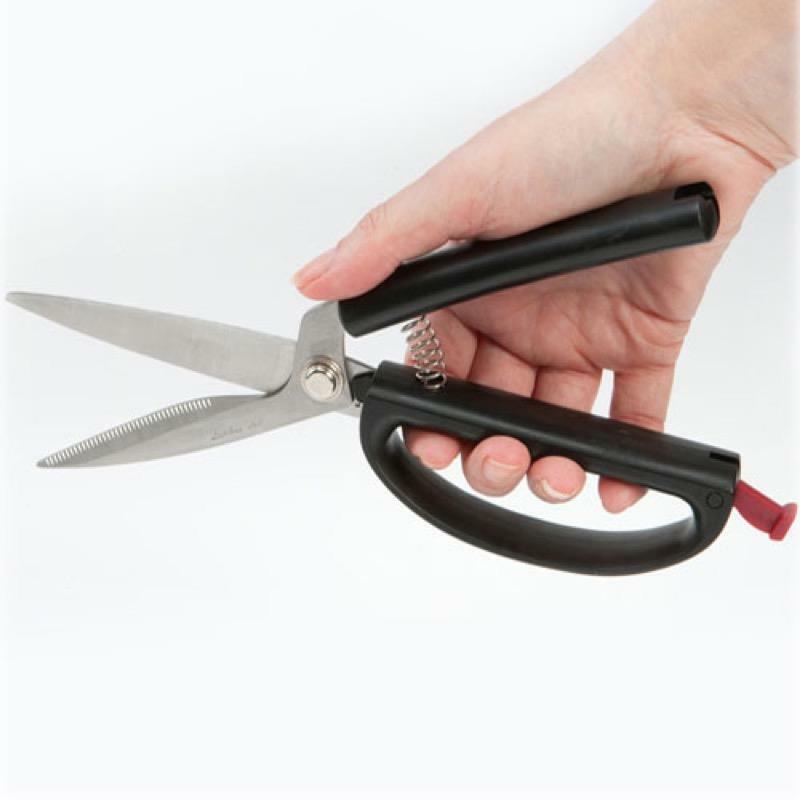 If you have limited strength in your hands then the Kitchen Shears could come in usefull around your kitchen. They are spring loaded and have a self opening mechanism which re-opens the scissors after each cut making it easier for you. They are also fitted with a safety lock for when you are not using them. The handle is comfy grip and they can cut through various types of materials. The blades are made from strong stainless steel.